With an awesome performance and leaving behind a slow beginning, the awarded tennis player Rafa Nadal went through this year’s ATP 500 World Tour which took place in Beijing, China from October's 2th to 8th, destroying his competition. Even though he was playing uncomfortably during the beginning of the first match and was thought to be trough at that point, a hit in the net by Lucas Pouille allowed the Spanish champion to arise and take control of the game. 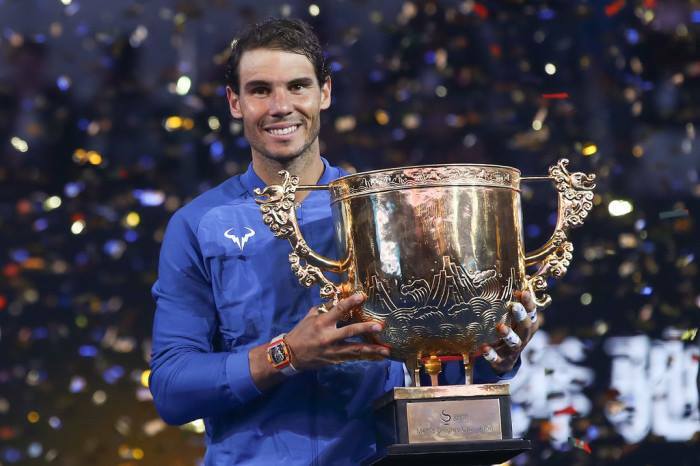 This shows us once again that Rafael Nadal has still much in his career to show up. He didn’t only enter the tournament under the words “I decided to participate because I was not tired yet” Which was an extraordinary show of character and conviction but also went through the whole event taking the trophy and getting awarded with his 75th career title! Rafael Nadal is an awarded tennis champion from Mallorca, Spain who currently occupies the first place in the ATP ranking. He is the youngest male tennis player who achieves the Golden Slam at the age of 24 and probably the most famous player of this sport in the last decade.